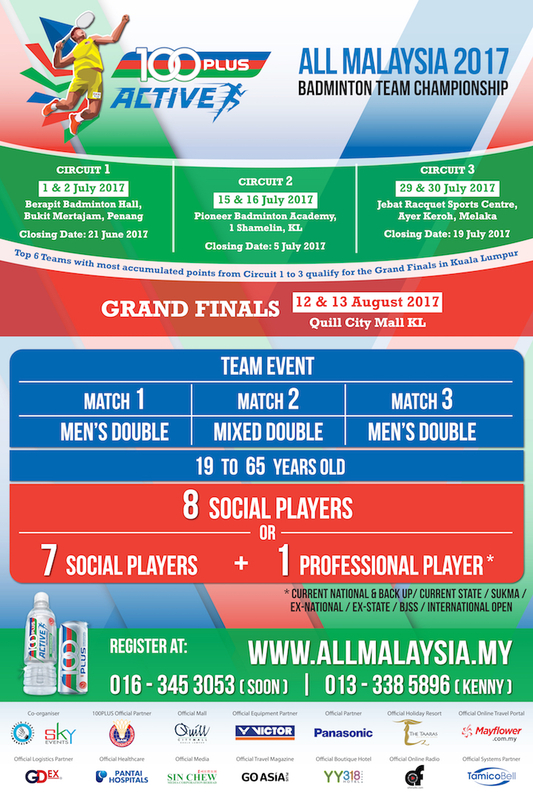 The 100PLUS ACTIVE ALL MALAYSIA 2017 Badminton Team Championship is back again! 1. www.allmalaysia.my OR contact Soon at +6016-345 3053 or Kenny at +6013-338 5896. 100PLUS Ambassadors will be in Penang, 1 Shamelin Cheras, KL and Melaka to present prizes to winners!